Most of the families plan their holiday to improve the harmony among the family members. We would like to introduce our special package to organize your family holiday, called Family Holiday Package. Trough this program we will bring you to enjoy the beautiful landscape of Lombok and Gili island. We also create some of games during the trip to make your holiday more memorable. Herewith we would like to inform about global description of Lombok Holiday Package 4 Days and 3 Nights. You can also plan your own itinerary for your holiday program and we will give the price estimation. You and your family will meet with our staff in Lombok airport who is waiting for your arrival. 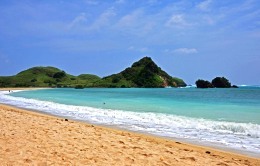 Our guide will give detailing information for your holiday program in Lombok Island. The next program is lunch and then visit some of historic places in Lombok. Our guide will accompany you to visit Lingsar Tempel, Narmada Garden, Mayura Palace and others. This program will be ended at 04:00 PM and than drive back to Senggigi for checking in. 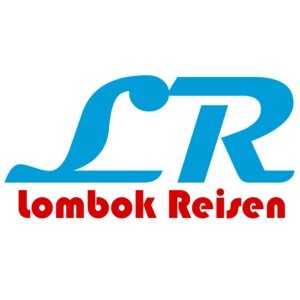 At 07:00 PM you will be picked up and bring to the famous restaurant in Lombok for dinner. The program in the first day will be finished till 09:00 PM. On the second day we will visit one of the famous small islands in Lombok, called Gili Air. The trip on the second day will start at 08:00 AM and finished at 05:00 PM. 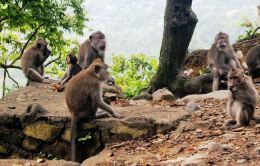 After breakfast we will visit Lombok tropical forest which has friendly species known as monkey. You will find many monkeys here. The monkeys here are friendly and you can give food like banana to their hands directly. Around 30 minutes drive we will arrive at Bangsal harbour where you will go by private boat to Gili Air. You can spend the time on Gili Air with swimming and seeing beautiful life under the water like fishes and corals. At 03:30 PM we will back to Bangsal harbour and drive back to hotel. 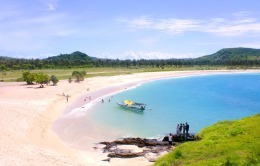 On the way back to hotel you will see the beautiful landscape of Lombok beaches. You can also ask to your guide to wait the sunset at Malimbu beach. The end of program on the fourth day is check out and transfer to airport for your next destination. On the way transfer to airport you can stop to some of Lombok shops to buy souvenirs.